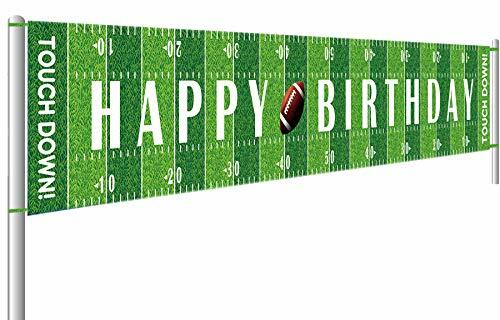 All those hours spent on the football field are really going to come in handy! 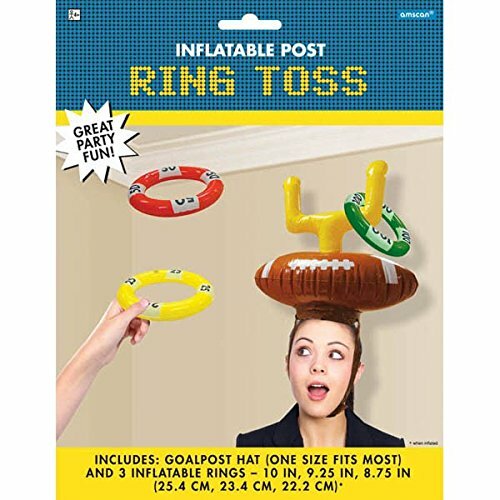 This Inflatable Post Ring Toss Party Game is a great way to keep moving at sports-themed birthday parties. 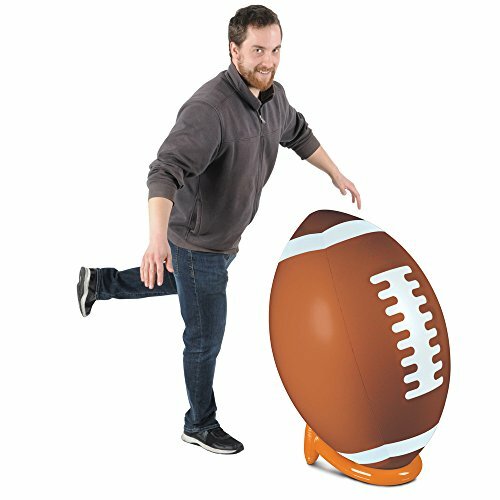 Get ready to put your skills to the test, with Quarterback Touchdown: the best football throwing game around, for kids and adults alike. 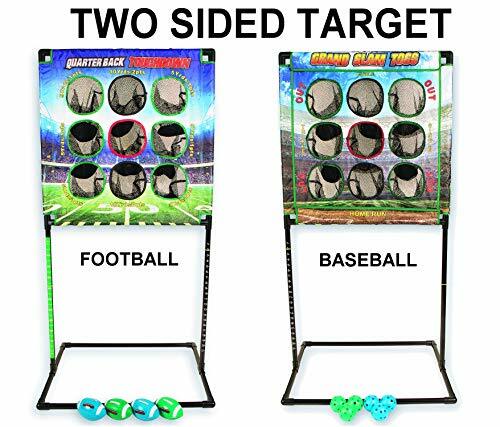 A game for all seasons, it’s perfect for at the beach, camping, tailgating in the parking lot, back yard parties and lawn games. When it’s raining or cold outside, set it up in the garage, hallway, bedroom or basement. 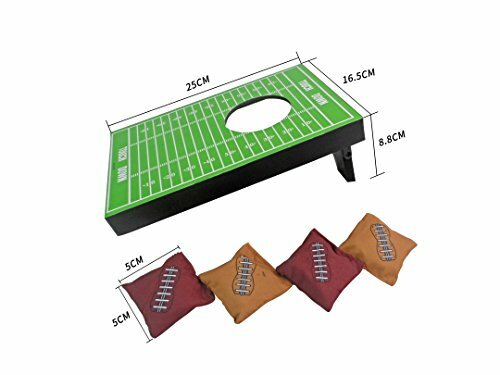 This fun and exciting tailgating game lets you play 4 different throwing games including 21 (like horseshoes), Around the World, Tic Tac Toe, and QB Touchdown Play. Quarterback Touchdown is built to last. It is easy to set up and breakdown, and is easily portable with its own carrying bag. 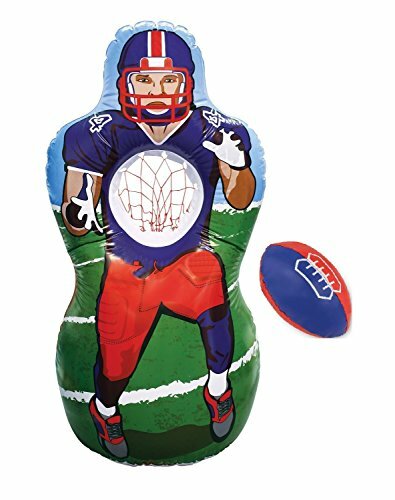 Quarterback Touchdown Football is edge rolled and double stitched with 3-part binding for added durability. It is made with diamond-cut water-resistant fabric and American Standard .75 PVC piping. The fun begins with Quarterback Football, prepare to get hooked. 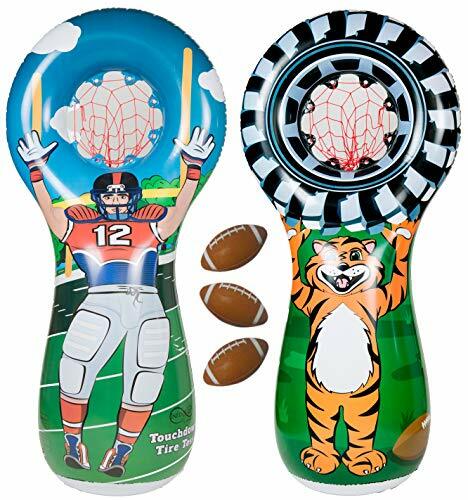 Make sure everyone has fun on game day with our end zone sticky toss party game! 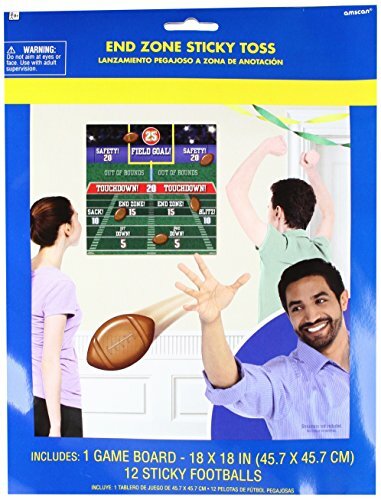 Features a football field inspired game poster with sticky footballs. Includes 1 poster and 12 sticky footballs per package.